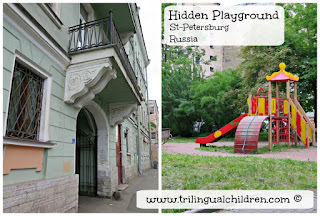 Google+ Raising a Trilingual Child: 21 + Best places to visit in St Petersburg, Russia with KIDS. Grouped by location for easy trip planning. 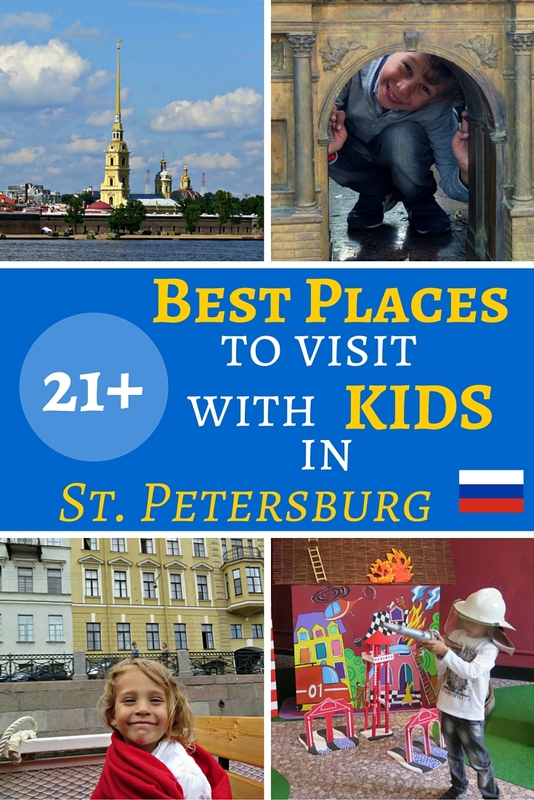 21 + Best places to visit in St Petersburg, Russia with KIDS. Grouped by location for easy trip planning. 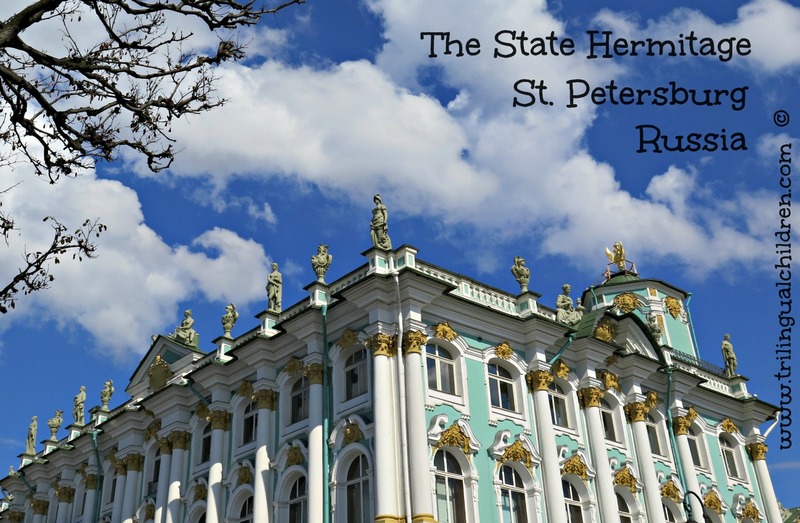 Have you ever been to St. Petersburg? If not, keep on reading and start planning your next trip! 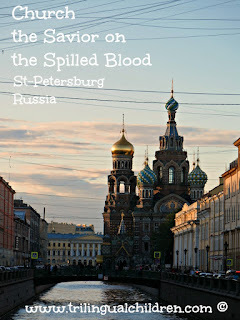 St. Petersburg is one of the most beautiful cities in Russia, with the big old center cut by multiple canals and by Neva river, and connected back with a multitude of beautiful historic bridges. Some call the city a northern Venice for the amount of water that surrounds it. It is definitely a romantic destination for couples, but I would not rule out visiting it with kids and enjoying the city's beauty all together as a family. That’s exactly what I did with my almost 4 and 6 years old kids this summer. 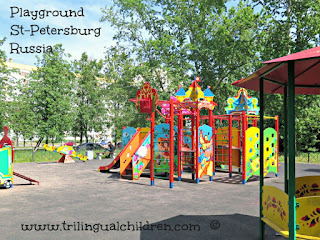 St Petersburg, the cradle of my childhood, how much has you changed! 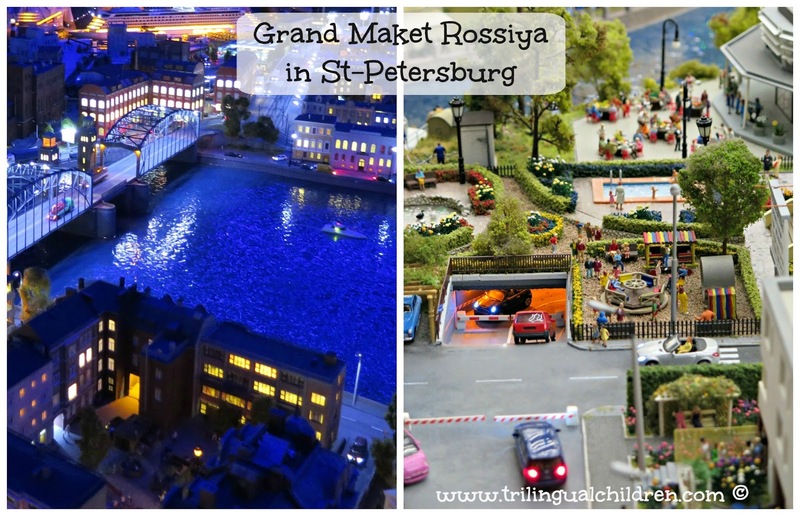 Who could imagine that the city with the golden domed skyline has to offer even more fun things for kids to see and explore. We did our best to see them all. Since most of the things to see in St-Petersburg are located in the city center, I would like to start by showing you parts of the city that you probably won’t see. Every year more and more tall modern buildings pop up here and there. 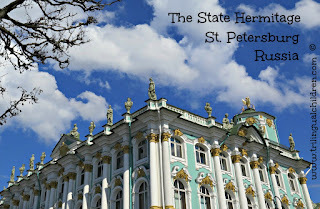 I am glad that St. Petersburg is able to preserve the historic uniformity and style of the old beautiful center. By walking on the streets in the heart of the city, you can feel the history all around, the past and the present living side by side, historic facades reflecting in shiny store windows, cars zooming by the old cathedrals and palaces, boats on canals and rivers. You see old beautiful buildings attached one to another. You might think that kids, who live in the center have no playgrounds. They do! They are hidden from the public eye inside of the internal squares. 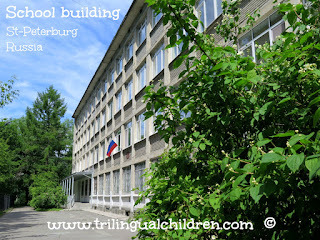 And if you are curious about schools, this is a typical school building in the city’s suburbs. It is very simple and very functional. To really enjoy the city I strongly recommend you to look for a hotel or a room to rent in the historic center close to Nevsky prospekt. Look at the map that I have created for you with the attractions grouped by area so you will have an easy time with planning your accommodation and your day. 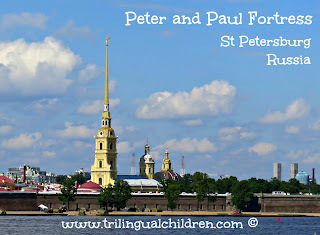 I would choose this citadel of St. Petersburg founded by Peter the Great in 1703 as the first place to visit. 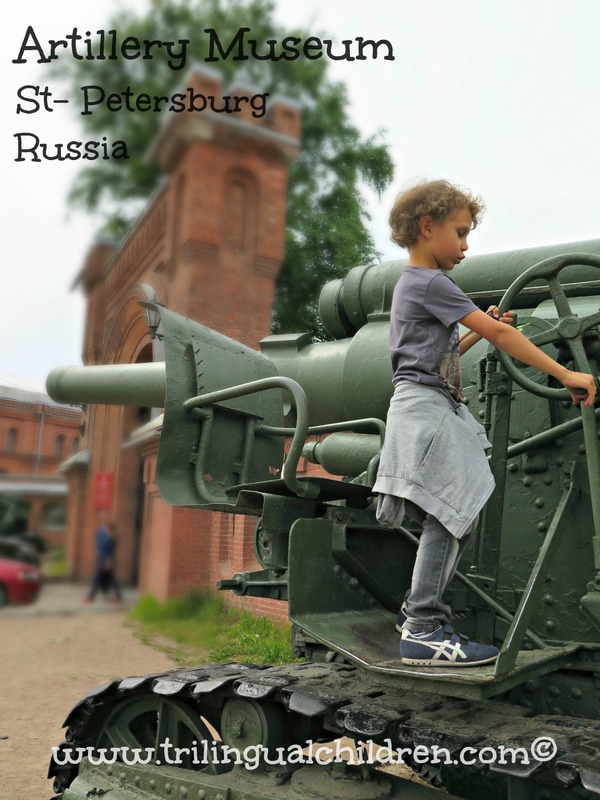 Besides the multiple museums located in the fortress walls and the magnificent view on the Neva embankment that you can see from there, this place provides plenty of space for kids to run around and get their energy out. Great destination especially after a day passed in an airport and on a plane. or simply referred to as the Artillery Museum. This was one of my favorite when I was a child, as there was a possibility to see all sorts of military machines inside. 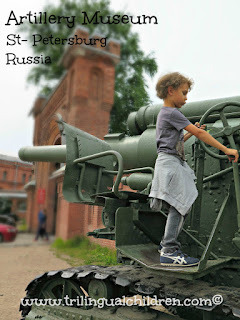 At the time of our visit many cannons and artillery in front of the museum were open to public and kids could touch and climb on - a sure entertainment. There is also a TIR (airsoft gun firing range - place to shoot in targets, open to kids and adults), where you have a choice of different firearms. A real fun for kids! The bronze models of historical buildings are presented in 1:30 scale. They are pretty much have the same height as the kids. 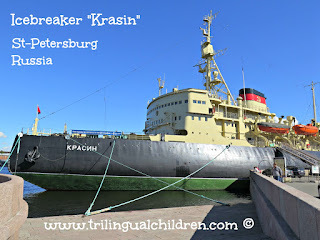 is a ship-museum that was built in 1900. It has undergone restorations and is expected to be returned to Petrogradskaya embankment in 2016. When you walk around this part of town, you might notice two blue minarets. It is a St. Petersburg Mosque that was opened in 1913. It almost always closed and opens only for a short time during prayer times. ARE YOU RUSSIAN ? SHARE the LOVE for THIS beautiful CITY by SHARING THIS POST! is the amazing museum that you should visit at least once in your lifetime. It is huge! It occupies the Winter Palace building, which was a residence of the Russian emperors, and several other historical buildings. Even if you spend there an entire day, you won't be able to see everything! So plan ahead based on your family’s interests. You can get a good idea what can be seen there by visiting the hermitage website. Expect spending some time just enjoying the gorgeous building inside , appreciating world famous artists (Da Vinci, Rembrandt, Renoir to name a few) , who lived in a period from 15th century to nowadays, and learning more about other cultures. Some highlights: 18th-century golden Peacock Clock, the Egyptian mummy that older kids would definitely would like to see, the knights hall. Is so magnificent that I would not miss it and show it to your kids! The church contains over 7000 square meters of mosaic! It is covered in little pieces of stone from the floor up to the dome. Before the trip, try to prepare your child at home by offering an activity of creating a picture with little pieces of colored paper. It will help him/her appreciate what s/he sees. If you have been to this park before, you might be surprised seeing it again. The way it looks now, after the recent restoration, is definitely not how I remember it. 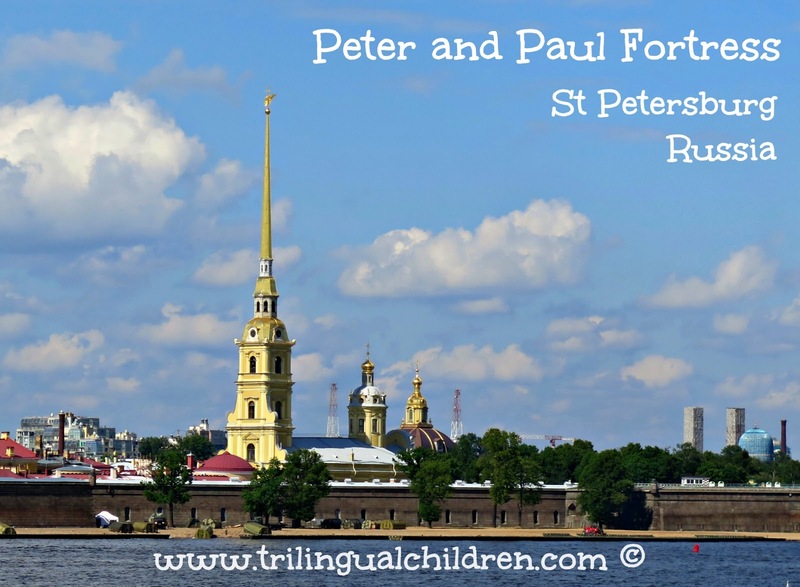 The romantic simplicity is gone and replaced by the sophisticated beauty envisioned by the Peter the Great. So you will see the park exactly the way he planned it centuries ago. We now move to Vasilievsky Island. Tip! Use bus number 7 if you need to get from Nevsky prospect to Vasilievsiy ostrov. If you have boys, do not miss these attractions! was built in 1917 and now is a floating museum. The life of this ship is full of interesting stories that you will learn about the moment you step on the ship for an excursion. Do you know a Morse code? You will get a chance to practice sending a signal from there too. Have you been inside of a submarine? Do not miss your chance to visit the 613 class diesel-electric submarine! It was built in 1954 and was in use until 1990. One can freely walk inside the boat and get a feeling how it was for marines to serve there. You can see living spaces, machinery, a torpedo room and even look through a periscope in the control room! Do you have a little paleontologists at home? Finally kids will be able to see something with their own eyes and not on a picture! The unique exposition of mammoth will keep them excited. Have your kids ever asked you how big is a whale? Here they can see how big it is big by looking at a skeleton of the 27 m long blue whale! Click through the pictures on the museum website ( in Russian) to check other collections. is the first museum in Russia. 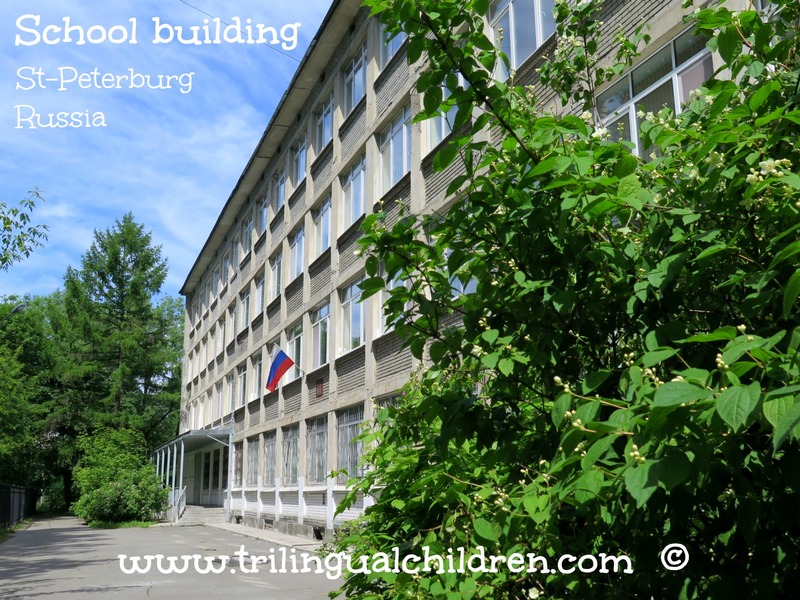 It was established by Peter the Great in 1714. 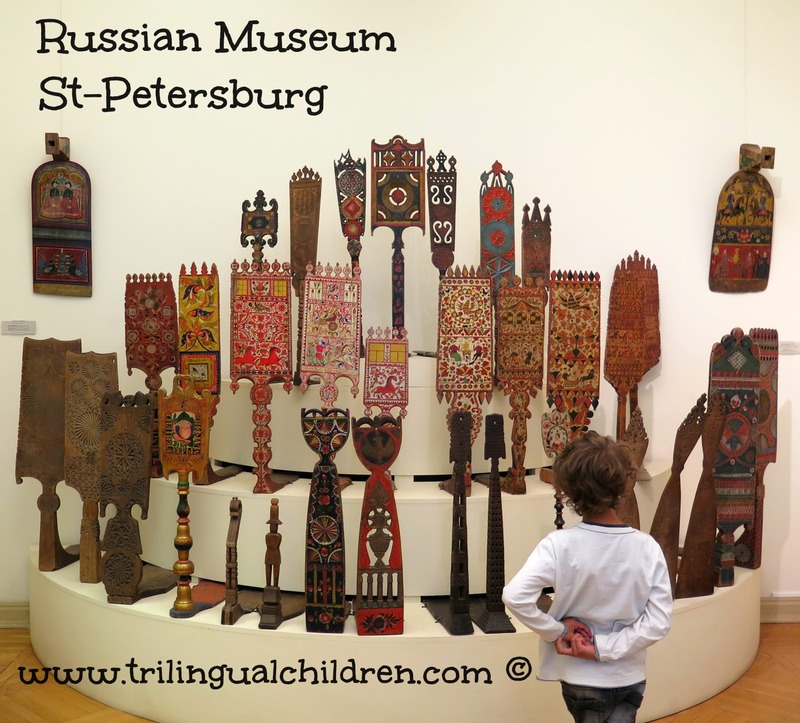 Right now it is called the Peter the Great museum of Anthropology and Ethnography. You can see his first collection that includes examples of accidents of nature with which Peter the Great wanted to fight peoples fears and superstitious believes. Do you know how the first St-Petersburg tram looked like? You can travel in time to the beginning of 20 century and see how the city’s electrical transportation, which were trams and trolleybuses, has evolved over time. 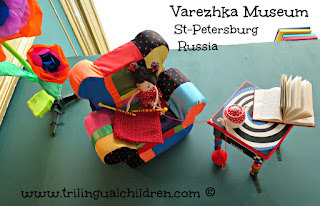 In English Varezhka means mitten. 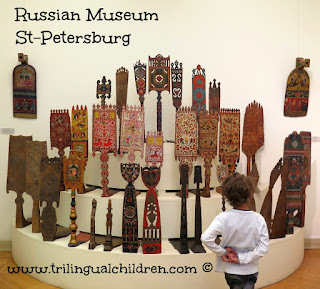 It is a unique museum where kids can be kids there and touch (carefully!) almost everything. You can find many mittens from around the world, but do not expect to see only them there. 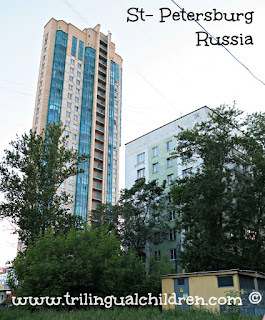 Actually this is the house of a little girl Varja Varezhkina ( a fictional character) who does many good things for orphan kids. She wanted orphans to be warm and started making mittens for them. Come to meet her and hear her wonderful story. You can even help her to help others! The museum has two rooms where kids can play freely. Mine loved playing in firefighters. The museum is small, but it is difficult to predict how long your kids would like to stay there for. My two just would not want to leave. Thanks God they were hungry and I was able to lure them out with promised of food. Food Tip! There is a great restaurant to go to with kids and it is just minutes away. They offer kids’ menu and markers to keep your little ones busy. It is called “Schastye”(Happiness) . I marked it on the map. Are you a cat lover? This is a neat place to stop by. It is a cafe , a library and a room full of real cats! You can even adopt some of those little furry animals! You walk around, you see and enjoy the city of today. But can you imagine how it looked in the 18th century? Visit this large scale model located on the 6th floor of the shopping center Admiral to see for yourself how different it was centuries ago. It is the biggest model of entire Russia. It is impressive. Trains and cars are running, things are moving, days turn into nights - the model is alive. It is real fun for all ages. Allow plenty of time for the visit, there are so many interesting details to look at. No need to worry about the food as there is a self service restaurant right on premises. I would not be surprised if you walk away with a wish to return to Russia and have ideas of what to see during your next trip. Are there any train lovers in your family? 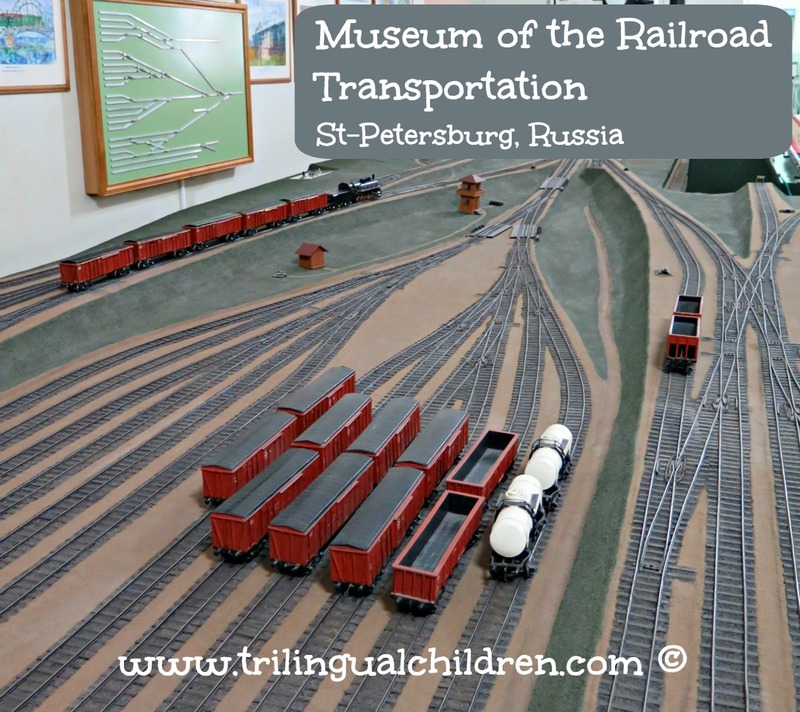 Watching how model locomotives move cars from track to track in a scaled down railway yard will help your little one get inspirations for the next tracks installation when you get home. It is a great attraction for everyone who is interested in trains and who would like to learn the history of railroad transportation in Russia, and perhaps, who would like to practice Russian as all the information is written only in it. It’s a bummer as museum is great otherwise. 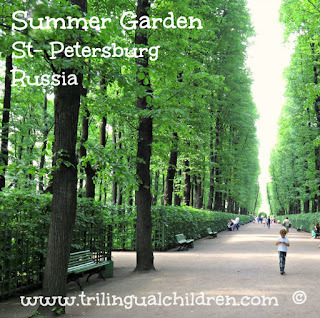 Additional bonus that there is the Yusupov Garden nearby - you can let your child run free and let you relax for a bit. And more trains! Now the real ones. You can even climb inside! The exhibition includes steam locomotives, diesel locomotives,railway cranes, freight cars. The oldest coach car is dated 1878. The museum is located inside a water tower (constructed in 1859-1862) There you will learn about the history of water and see what toilet looked like many years ago. Follow the path water has to take from its source through pipes into your home and from your home back down to the sewage treatment plant. The exposition ends in the former clean water reservoir where you are surrounded by constantly changing pictures of water and sound effects. 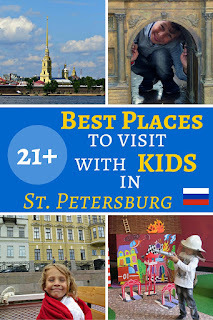 See more places to visit and activities to do with kids listed on the map. 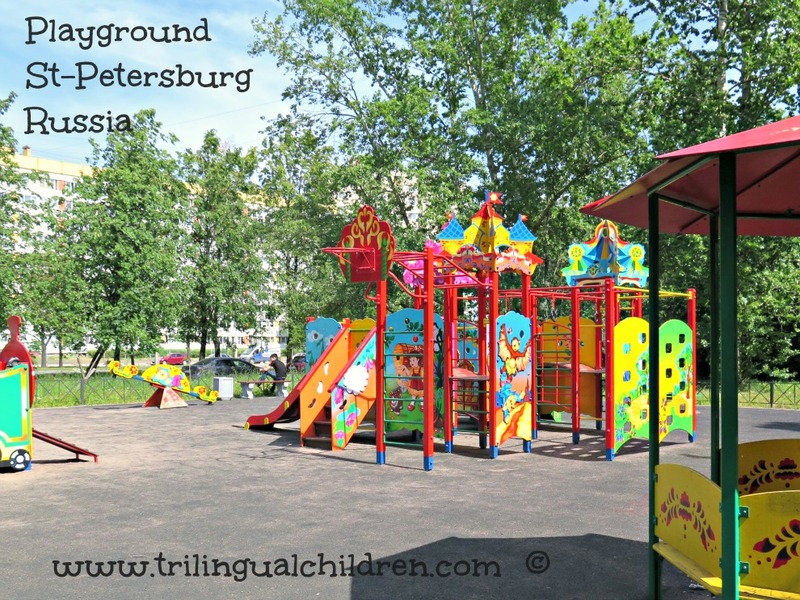 If you are a parent of a bilingual child , who speaks Russian, I marked great attractions for your little one for some more language practice. Read Bilingual Children Travelling to Minority Language Country Diary, if you’d like to learn more about what we have seen during our trip to St-Petersburg. 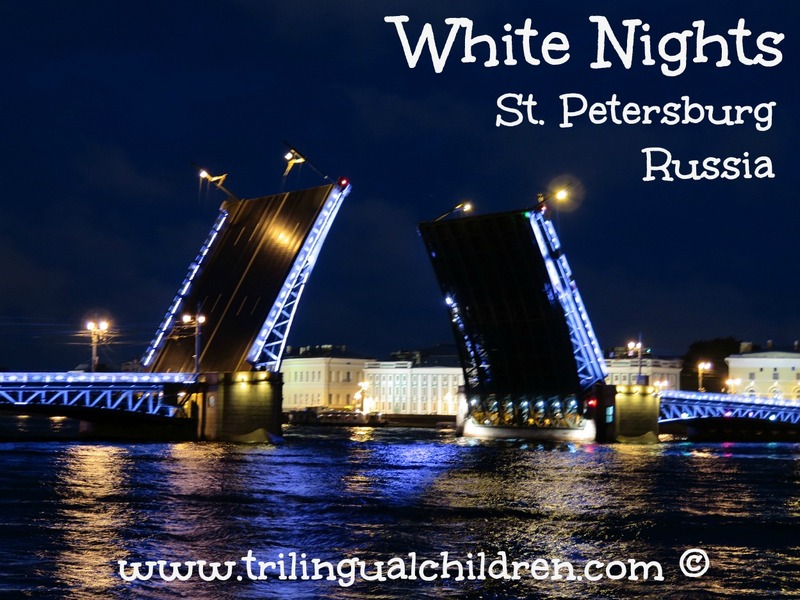 If you go to St. Petersburg in the summer, plan to stay up until very late to watch a spectacle of the summer - enormous bridges over Neva river, each lit with lights, open one after another to allow ships to pass through. The Palace Bridge ( Dvortzoviy most) , which is located right at front of the Hermitage, opens twice at 1:25 am and 3:10am. 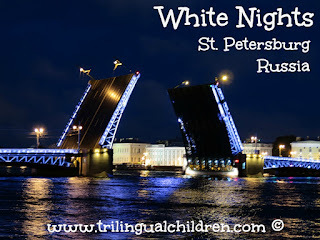 Check the official St. Petersburg bridges’ opening schedule in Russian for other bridges’ opening and closing times. The must see is the Petersburg's Metro (subway). You enter a station, step on an escalator and your adventure begins! The moving stairs run and run and run. You feel that you should be already at the bottom but the stairs keep on running down deeper and deeper. And here you are! 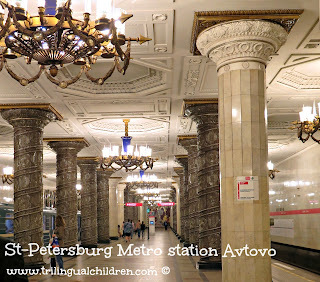 In a long corridor decorated with marble, granite, glass, mosaic... Is it really a subway station? A second later you hear sounds of the approaching metro train. Yes, it is! You won't believe your eyes! Red line (M1) was built the first and was opened in 1955. The old stations are all like a piece of art on their own. Visit Avtovo station , if you can. It is one of the most beautiful in the world. There are 5 metro lines as of today that connect different parts of the city. The new stations are modern but still very beautiful and worth a visit. Ground transportation is also very developed. Trams, buses, trolleybuses. If your kids are tired - hop on one of the trams, buses or trolleybuses to do a trip around the city. You can buy a ticket right on board from a conductor. Railroad in Russia is huge. 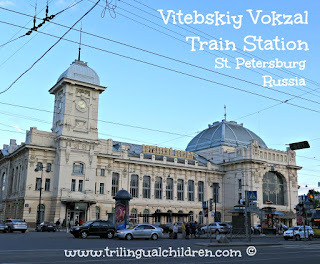 Petersburg has not one, but 5 main train stations from which trains depart in different direction. The station buildings are old and very beautiful inside. From Vitebsiy station (Витебский вокзал) you can get to other tourist destinations such as Pushkin (Царское Село) and Pavlovsk. 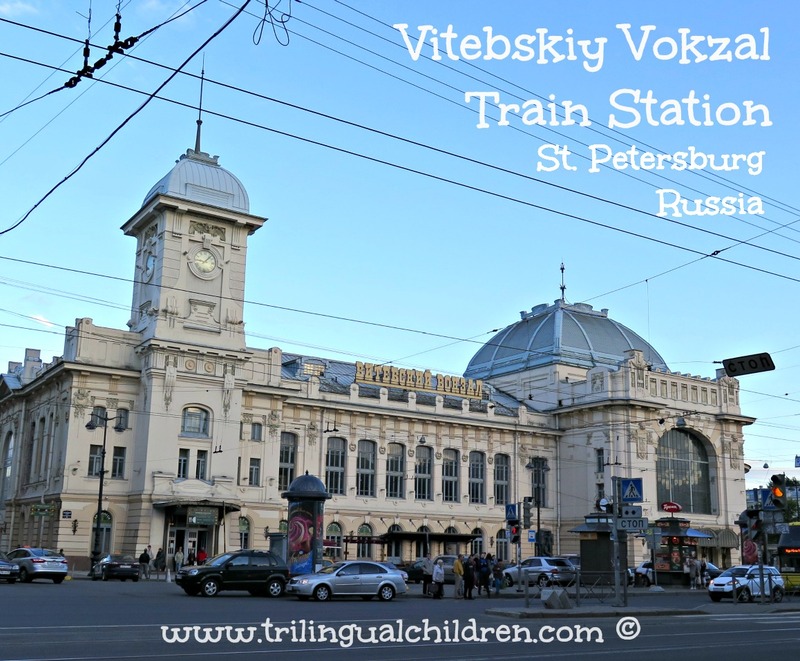 From Moskovsky Vokzal, you can take a night train or 3 hours express train to Moscow. 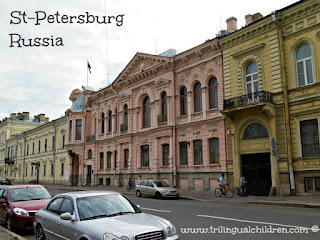 From Finlandskiy Vokzal (Финляндский вокзал) you can get to Vyborg and Priozersk . From Baltiysky Vokzal (Балтийский вокзал) you can get to Peterhof (Петергоф), Lomonosov (Ломоносов) and Gatchina (Гатчина). There are many excursion boats that you can take to see the city from the water. 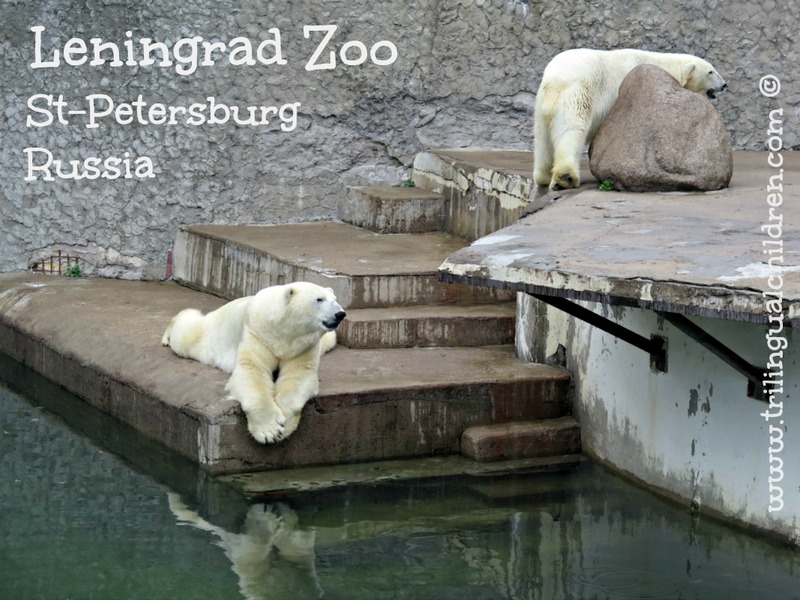 Check the route map before hopping on one, as some do not have a permit to go into the open waters of the river Neva and others are too big to pass under low bridges of the rivers and canals. With kids it is always good to have some snack with you. You can stop by one of the grocery stores that are spread around the city to buy some fruit, juice, cookies. Try “sushka” - my kids love them! There are street vendors that sell water and ice-cream. 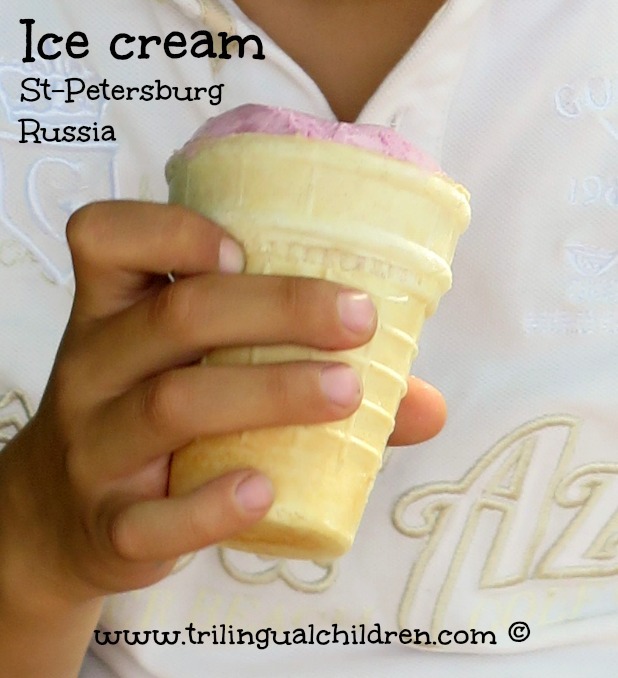 Russian ice cream is something you should try - it’s different. Look for the cheapest one in a waffle “glass” ( “в вафельном стаканчике”) and pass on anything that looks like regular cone. The ice cream looked like that many years ago, when I was little. It tastes a little different now. 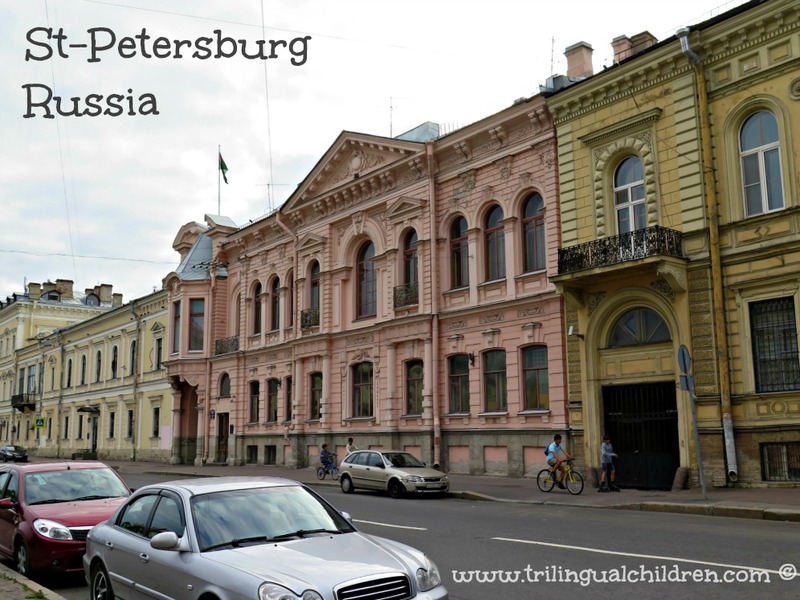 When to go to St-Petersburg? 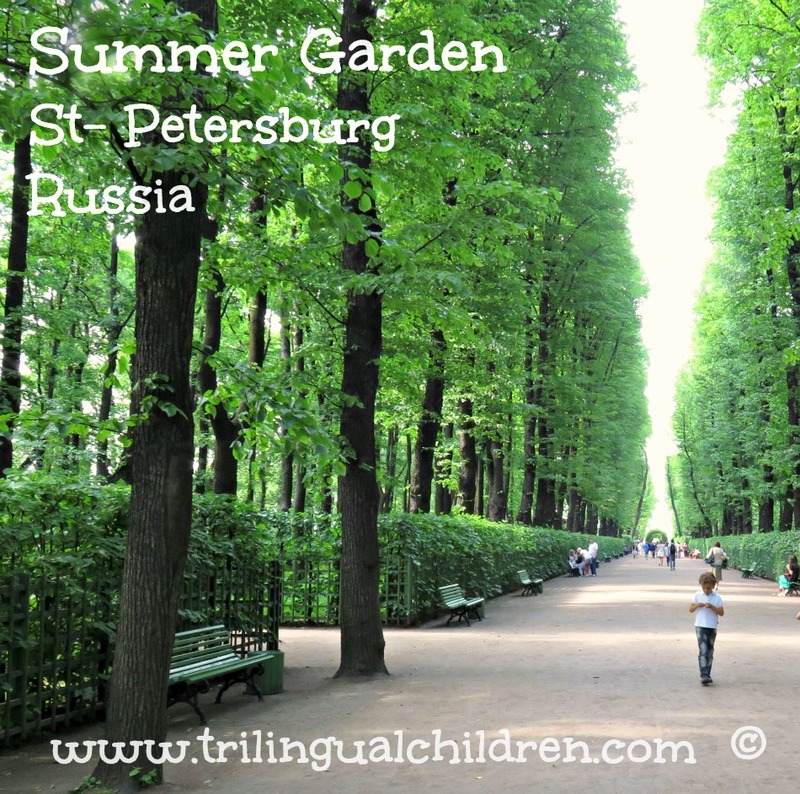 The best time to visit St-Petersburg is during the white nights - when the sun almost does not set - which last from mid June to the beginning of July. The weather in May and September is also not bad, August can surprise you with rains. Check the weather statistics to make a decision. St-Petersburg has one airport - Pulkovo. LED is the airport code. As of today Pulkovo airport has direct flights to 114 cities. Check the destinations map to see if there is a direct flight from your city. Do not worry if you see a Russian airline ( Aeroflot or Rossiya). They are as safe as any other world airline is. Use the Pulkovo airport flight schedule to plan your trip. If you travel with kids, best option for you is to hire a TAXI. It will cost you 900-1000 rub. Check the official Pulkovo TAXI fair map. Here you can find information on how to get from Pulkovo airport to the city center by public transportation. You can also rent a car. The car rental offices are located on the 1st floor of Pulkovo airport. You have a choice of the following car rental companies: AVIS, Herzt, Europcar, SIXT, Thrifty. 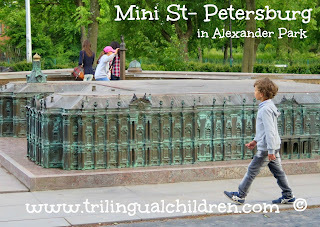 Now you reached the end of my guide to the best places to visit with kids in St. Petersburg, and by now you probably realized that I am in love with the city. In fact, it was supposed to be a short post for Your neighbourhood around the world series , but I just could not stop writing. Why You Should Visit Italy During Winter Holiday Season and Why You Should Not. Can babies distinguish foreign languages? 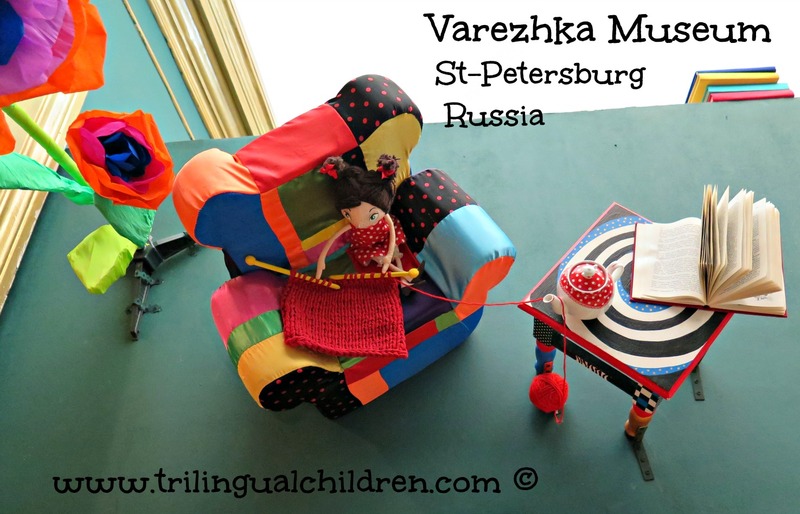 The list of the kids books in Russian and cartoons.